The recent "acqua alta" (high water) in Venice, Italy reached a depth of 1.56 meters (5 ft, 1 in.) on Monday - the deepest flood in 22 years, and the fourth highest flood level in recent history, claimed Venice's Tide Center. 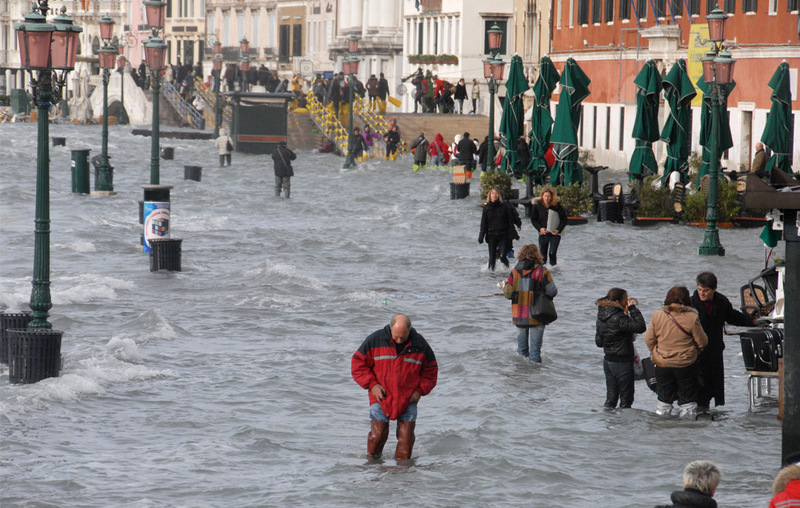 The water began to subside on Tuesday, while residents and tourists made their way through the city, hip-waders or not - one man even took the opportunity to ride his wakeboard through Piazza San Marco (until police stepped in). Although this flood was severe enough for the mayor to ask tourists to temporarily stay home, Venetian floods are fairly routine, several occurring every year, and residents usually take it all in stride. View the rest of the Hi Res photos here.